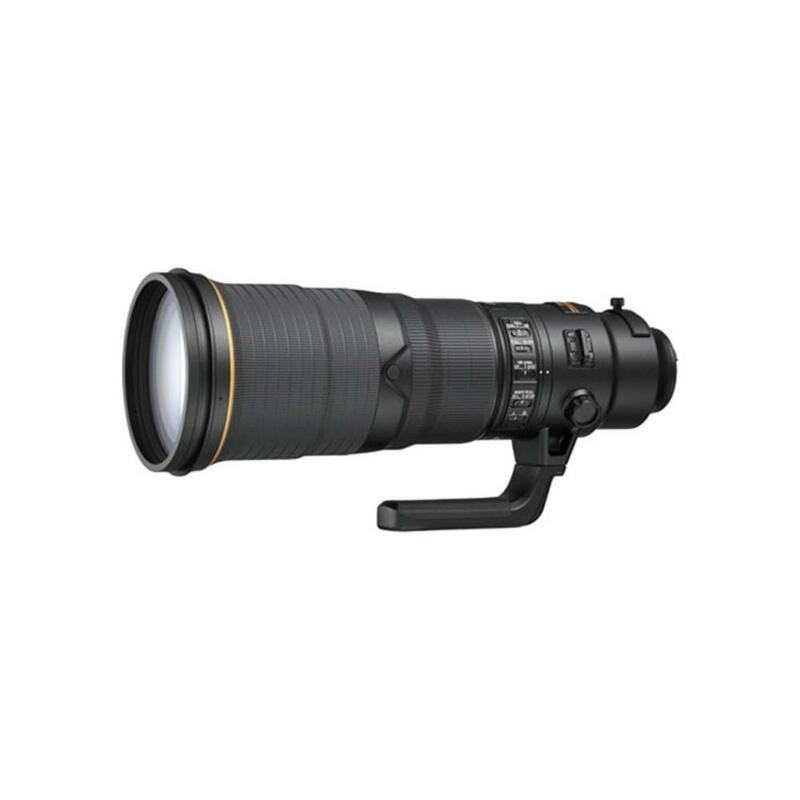 The Nikon AF-S 500mm f/4E FL ED VR Lens improves on the Nikon 500mm f/4G AF-S ED VR with reduced weight and advanced optical design. The Vibration Reduction system has dedicated Sport and Tripod modes for better performance during specific kinds of shooting. A specialized electromagnetic aperture mechanism provides greater exposure control stability that is especially beneficial when working with fast continuous shooting rates. A Silent Wave Motor AF system produces fast, near-silent focusing that is ideal for both still and video shooting and can instantly be manually overridden by turning the manual focus ring. This lens is also dust and moisture resistant and designed for wildlife and sports photography.